It was a hard blow last month when we lost Higbee to a vehicle collision during an epic snowstorm on the New Jersey coast. He was one of the three “Jersey Boys,” a trio of immature male snowies tagged this winter by Mike Lanzone, Trish Miller and David La Puma. The fact that Higbee’s transmitter had been underwritten by the state chapter of the Nature Conservancy, and his movements eagerly followed by many TNC supporters, made the loss even heavier. So we’re especially pleased to welcome another Jersey Boy to the fold. 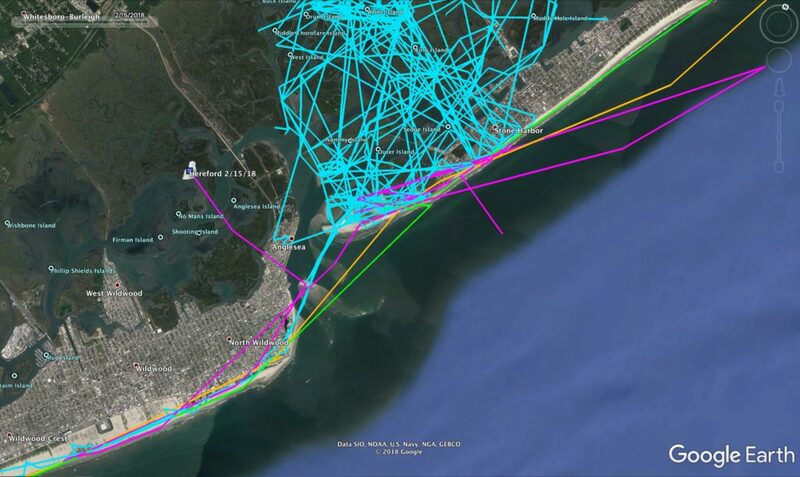 On Feb. 12, Trish and Mike caught a new immature male on Stone Harbor Point north of Cape May, very close to the marshes that Higbee used. This guy is nicknamed Hereford, for the Hereford Inlet, which separates the undeveloped beach of Stone Harbor Point from the towns of Anglesea and Wildwood just to the south. 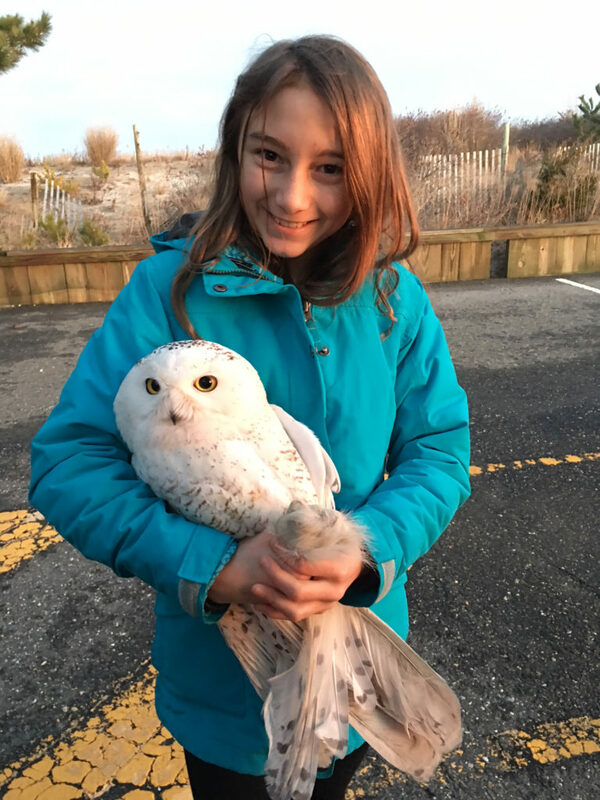 It’s also just a short distance from Nummy Island, where Higbee was killed, and a place that’s been visited at various times this winter by Island Beach and Lenape, the other two Jersey Boy owls. Having four tagged snowies using the same stretch of coastline is giving us fascinating insights into how birds relate to the landscape, and each other. We’ll admit, we’re concerned about the risk of another vehicle collision in the same area where Higbee was killed. 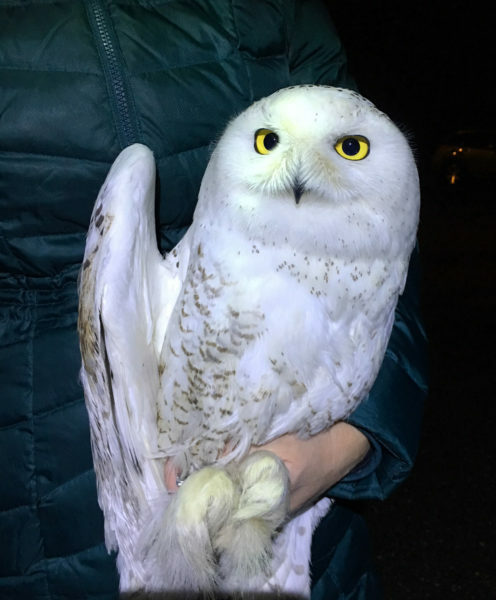 We obviously hope it doesn’t happen — but part of why we started Project SNOWstorm was to document and better understand the dangers that snowy owls face down here. Mike and Trish were able to work at the point thanks to the cooperation of Stone Harbor’s administration. We’re especially pleased that borough administrator Jill Gougher and some of her staff were able to participate in the tagging process, and we’re grateful for their assistance.